The Insulator Spindle No.4 for a single insulator. Used in pairs in a bracket No.2 (wall), Bracket No.14 (eves) for open wires. 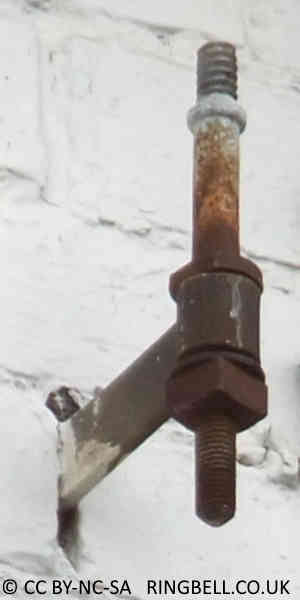 Seen here mounted on a wall spike, commonly used for terminating a dropwire rather than open wires.